International Draughts Federation IDF – FMJD Section-64 in accordance with the Calendar of the competitions in 2015 holds in St. Petersburg (Russia) from July 04, (arrival day) till July 12, 2015 (departure day) 3rd Stage of World Cup 2015 in draughts-64 – International competition “White Nights-2015”. Tournament ended. Vladimir Skrabov won classic program of 3th Stage of World Cup. See results and photo. Tournament ended. Vladimir Skrabov won classic program of 3th Stage of World Cup. Sergey Belosheyev took second place and Ruslan Pescherov took 3rd place. Elizaveta Egorova is the best woman and Vladimir Merkin is the best veteran. Before the last round 5 players – Vladimir Skrabov, Ruslan Pescherov, Vitaly Egolin, Dmitry Tsinman, Andrey Fedotov and Sergey Belosheyev have 12 points. The winner of compepition will be determined tomorrow. Vladimir Skrabov, Ruslan Pescherov and Andrey Fedotov lead after 6 rounds with 10 points. Vladimir Skrabov, Dmitry Tsinman, Vitaly Egolin, Ruslan Pescherov and Andrey Kalachnikovlead after 4 rounds with 7 points. Bus excursion around the city took place today. Blitz program started at 17.30. Blitz is held in Brazilian version of Draughts-64. 48 players from 10 countries: Belarus, Ghana, Lithuania, Kazakhstan, Korea, Moldova, Russia, USA, Uzbekistan and Estonia took part in the competition. GMI Sergey Belosheyev won. Dmitry Tsinman took 2nd place and Vladimir Skrabov took 3rd place. 3rd stage of World Cup 2015 – International competition “White Nights-2015” started today in SDYUSSHOR Chess and Draughts (Chigorin club). Opening of the competition was held at 12.00. 1st round started at 13.00. 52 players from 5 countries: Belarus, Ghana, Lithuania, Russia and Estonia take part in the classic program. 8 grandmasters participated. Among them are international grandmasters: world champions in different years Sergey Belosheyev and Mikhail Fedorov; World Cup 2013 winner Vladimir Skrabov, prize-winner of the European Championship 2014 Dmitry Tsinman, as well as national Grandmasters Andrei Kalachnikov, Vladimir Plaudin and Dmitry Melnikov. The list of women headed by the international grandmaster and former world champion among women Natalia Fedorova. With her will fight international master Anastasia Barysheva from Belarus, master FMJD Ekaterina Ivanova and others. 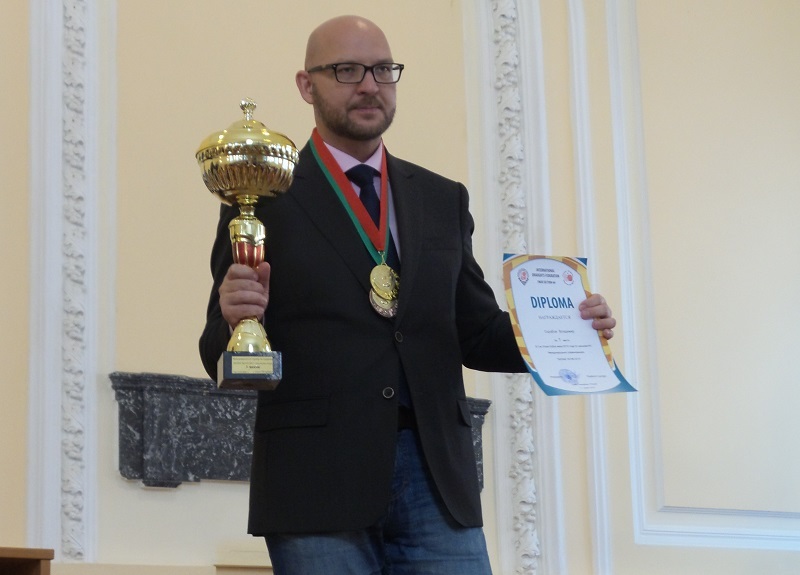 Veterans fight for prizes will be conducted between the International Master Boris Druzhinin from Lithuania, a multiple champion of Estonia Uno Plakk, strong masters from St. Petersburg Vladimir Merkin, Dmitry Lond and Vilimir Deryabin. 47 players participate in Youth tournament. As part of the competition traditional tournament in towers draughts was held today. Competitions are held from July 04, (arrival day) till July 12, 2015 (departure day). Bolshaya Konyushennaya str. 25, St. Petersburg, Russia. Credentials Committee will work July 4, from 16.00 till 20.00. All participants must have medical insurance for the period of competition. 1. 3rd Stage of World Cup. 2. Youth competitions for boys and girls 1999 year born and younger (with the offset of the age groups). Team standing is determined in the youth competitions. The composition of teams is 3 boys and 1 girl. All participants regardless of gender, age and rating are allowed to participate in the 3rd Stage of World Cup; in junior competitions – players born in 1999 and younger, who registered in accordance with this regulation time and paid the tournament fee. The number of participants representing the country is not limited. Participants must comply with the dress code. Participants must to be on the closing ceremony of the competition, in breach of the item participants lose all official awards. Awards will not be sent or transferred. Competitions are held on the rules of the IDF – Section-64 FMJD. System of competition is Swiss. In 3rd Stage of World Cup Blitz is held in Brazilian draughts and classic program is held in Russian draughts. All programs are held by the system of micro-matches consist of two games. 3rd Stage of World Cup is held with draw of moves according to the official table of the Section-64. Youth competition is held in classic Russian draughts without draw of the moves. Classic program: 45 minutes till the end of the game plus 10 seconds on each move, break between games is 5 minutes. In youth tournament: 45 minutes for each participant before the end of the game, break between games is 5 minutes. In youth competitions – 1000 rub. Places of competitors are determined by the biggest amounts of points. For team standing places are determined by the biggest amount of points scored by all team members. In case of equal points of two or more participants the additional criteria are established by the panel of judges according to the system of the competition. Participants of 3rd Stage of World Cup get points in the overall standing of the World Cup in accordance with the Regulations of the World Cup 2015 in draughts-64. Participants who took 1-3 places in the 3rd Stage of World Cup are awarded with cups, medals and diplomas. The prize fund of 3rd Stage of World Cup is not less than 65 000 rubles (1 000 euro). Prizes are paid for highest classifications, the best woman, the best senior, the best junior and other prizes according to organizers decision. Additional awards will be announced by organizers at the opening ceremony. Participants who took 1-3 places in junior competitions are awarded with cups, medals and diplomas. Participants who took 1-3 places in the age groups are awarded medals and diplomas. 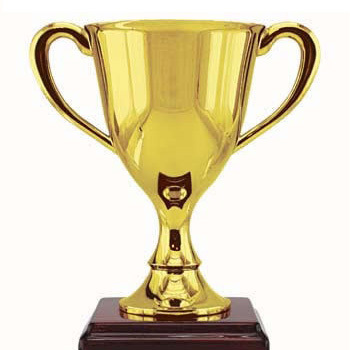 The team took 1st place in team standing is awarded cup and a diploma, the participants – diplomas. Teams took 2-3 places and it participants are awarded with diplomas. Accommodation can be available in different mini-hotels near the club. Accommodation is booking independently. Organizers may to help with the cheapest options if necessary. All costs of participants paid by sending organizations or yourself. Applications for participation must be submitted to the office of IDF – FMJD Section-64 on e-mail: [email protected] not later than June 21, 2015. Applications for obtaining visas (up to June 4, 2015) and booking accommodation (up to June 21, 2015): Langina Antonina e-mail: [email protected], tel. +7 921 7777231 (mob. ), Makarov Victor e-mail: [email protected]. Time schedule is approximate; dates and time of registration, opening and closing ceremony of the tournament are final.